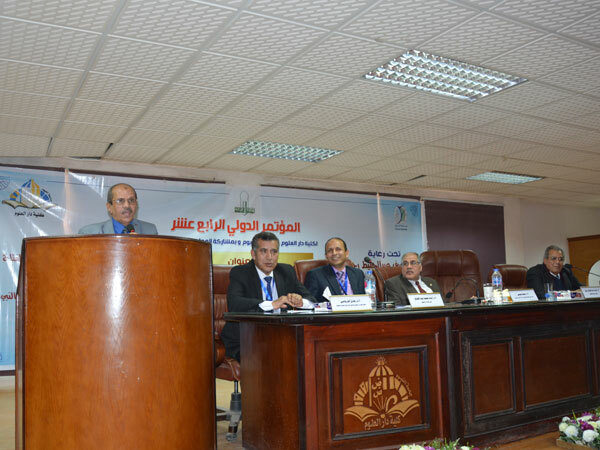 Prof. Ashraf Abd El-Hafeez, Acting President of Fayoum University, accompanied by Prof. Mohamed Essa, Vice President for Postgraduate Studies and Research Affairs, witnessed the opening session of the 14th International Conference at Faculty of Dar Al-Uloum under the title "Arab and Islamic Sciences: A Future Vision" organized by the College in collaboration with the Supreme Council of Culture during the period from 19 to 21 March 2019. 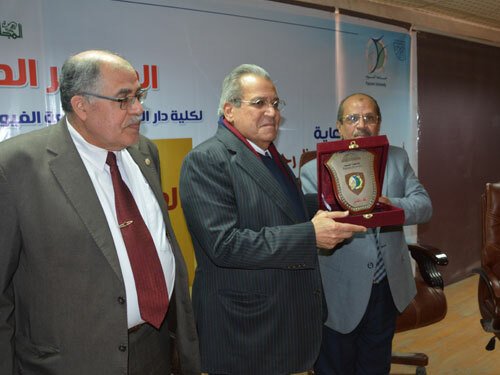 The conference was attended by Prof. Imam Mohamed Abd El-Fattah, Dean of the faculty, President of the Conference, Prof. Adel El-Darghami, Vice Dean for for Education and Students Affairs. The conference hosted Dr. Gaber Asfour, Former Minister of Culture and more than 60 researchers from Egypt, Algeria, Iraq, Sudan, Palestine, Saudi Arabia, Lebanon and Jordan. 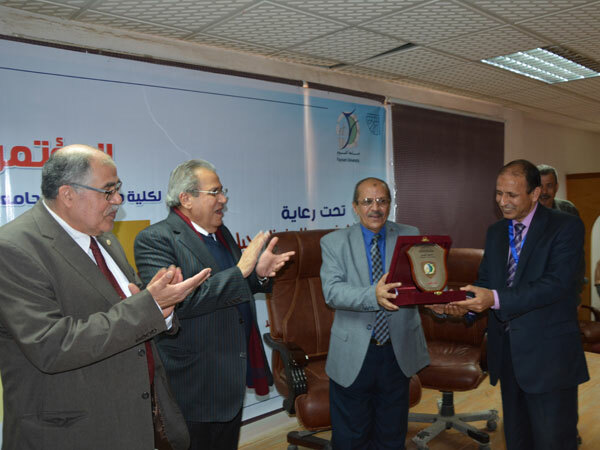 Prof. Ashraf Abd El-Hafeez welcomed guests from different Arab countries at the beginning of his speech. He stressed his pleasure in hearing the classical Arabic language from its leaders. He also pointed out that all the researches participating in the conference contribute effectively to making full use of them to our students at Dar Al-Uloum College. 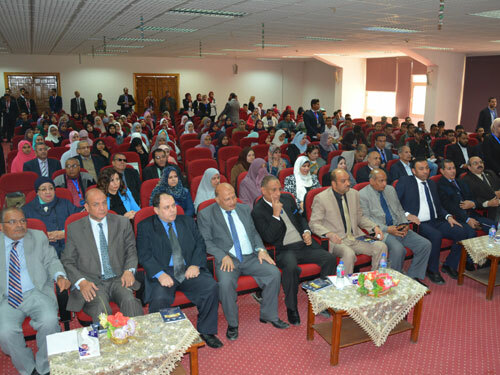 The conference aims to consolidate the role of intellectuals in the building of civilization and future awareness, spreading the philosophy of awareness of time and manifestations and insisting on the culture of dialogue and accept the other and highlight the role of institutions in the future industry and planning to promote the highest Arab and Islamic in light of the current reality and its variables and evaluation of cultural projects and critical theories and their role in enlightenment and critical thinking. 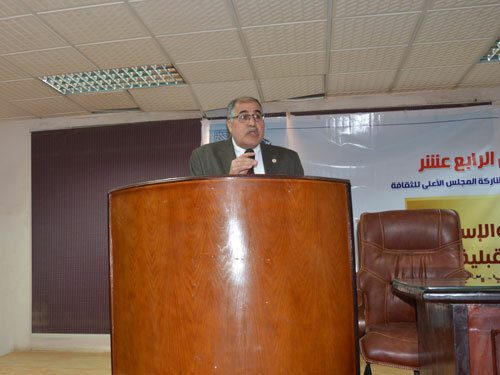 While Prof. Mohamed Essa also expressed his hope that the conference will come out with new recommendations that will serve the Arab and Islamic sciences and focus on discovering future alternatives that contribute to the future of Arab and Islamic sciences and uncovering future thinking and its presence in Arab heritage. Moreover, Prof. Adel El-Darghami also stressed that the Arab and human sciences are characterized by many orientations in recent times, such as based on the activation of modern theories and methods, including those based on systematic visions attached to the Arab heritage, pointing out that the future outlook for Arab and Islamic sciences is not meant to determine the details of the future, From the discovery of future alternatives and the development of a range of options available because the foresight based on meditation and determine the variables and their speed and impact in the transformations of this science between the past and present and then can imagine the nature of each science. It is worth mentioning that the conference includes 12 scientific sessions that talk about literary and critical studies, linguistic and grammatical studies, Islamic law, Islamic history, Islamic civilization, Islamic philosophy, linguistic sciences, literary studies, critical rhetoric and philosophical studies, and a number of public lectures by many professors such as lecture by Prof. Gaber Asfour, former Minister of Culture on narrative heritage and Prof. Mohamed Hassan Abdullah Professor in the Department of rhetoric and literary criticism about the curriculum in the face of the explosion of knowledge and lecture by Prof. Farid Haidar Professor of Linguistics on semantics to deliberation. 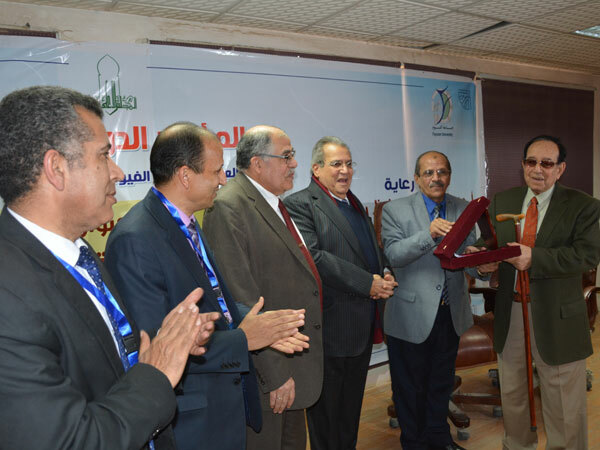 At the end of the opening session of the conference, Prof. Ashraf Abd El-Hafeez honored Prof. Gaber Asfour and Prof. Mohammed Hassan Abdullah and presented for them the university shield.